Hali still moving among the branches of the BST. Hali Branching in the branches . Hali tries to climb the tree trunk to get to mum . 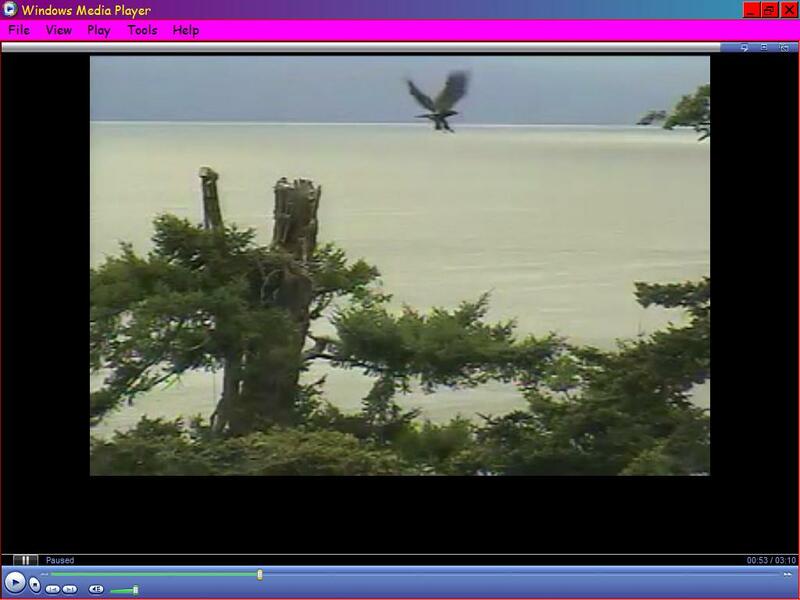 Cali climbs tree to see mum and dad and first one then the other takes off .I.07pm Hali takes off way to the right . Cali climbed the tree?? Dang and I missed it!! Cali climbs tree to see mum and dad and first one then the other takes off .I.o7pm Hali takes off way to the right . Hali is at the far upper right corner, just under the Ustream logo as the video starts. She climbs up and to the right. Both parents fly off toward ocean from above her. Cam pulls back to show how far up she is. As cam focuses back in, Hali is even with Ustream logo and right of trunk. At 1:07 pm, she flies off to the right. Nice video at 8:35. Head bob, poop shot, consider flying, go for it. July 24 Hali returns to the Babysitting Tree after spending the night somewhere. 6:21 am parent flies in; 6:26 Hali flies and soars and lands on the top of the BST. Parent flies off at 6:27. Welcome home, Hali!! july 24 2012 06:23:47 - Hali returns from her day away from the Nest area! How wonderful - I love their conversation after she lands at the top of the babysitting tree!! !